TechFluence, 2018 is a community-driven technology conference organized by TO THE NEW on 24th March 2018 in Crowne Plaza, New Delhi. We have been organizing GrailsConf, an independent series of global conferences with a complete focus on Groovy, Grails, Gradle and the related technologies from last 5 years. This year we decided to make it technology agnostic by including areas such as Cloud, DevOps, Docker, Blockchain, AI, ML, Microservices, Data Engineering & Spring. The main aim behind organizing this conference was to provide a platform to tech community to learn, interact and share knowledge with like-minded people. The first ever series of the conference was highly successful and garnered a lot of interest from the community. 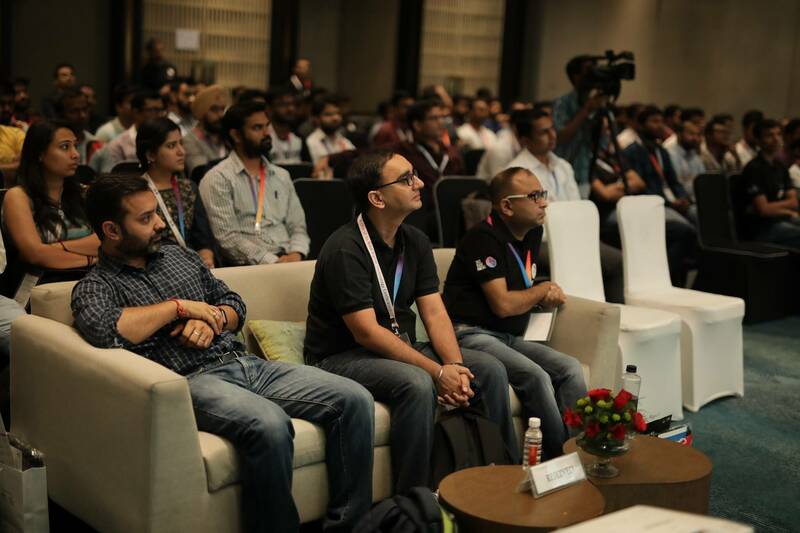 The event featured many renowned speakers and technology experts from organizations such as Amazon, Cloudinary, Accenture, Quatrro, Ofbusiness, eJavaGuru, Codalien Technologies, OpsTree Solutions, Mettl, Nykaa and TO THE NEW. 250 people attended the conference and witnessed 16 sessions in total. Here’s a quick rundown of the conference. The event started with an insightful keynote by Rajesh Dhuddu, Nasscom Blockchain SIG Chair and Senior Vice President of Quatrro Processing Services. Quoting examples of a few blockchain unicorns such as Coinbase, Omisego and Quantum, he concluded: “The next Indian unicorn in BlockChain is a reality and not just hype?”. The very first session by Sanjay Suri, CTO, Nykaa, focused on the tips and key considerations when migrating from monolith to microservices at scale. 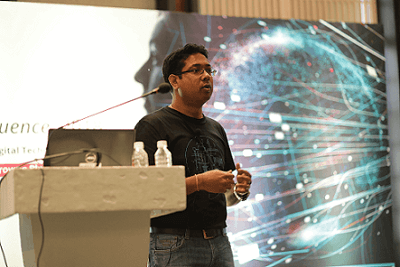 This session was followed by an astounding session by Soham Maheswar, an Alexa Evangelist at Amazon started the session by an introduction to the Amazon Alexa, and the Alexa Skills Kit while illustrating why Voice is the next significant disruption in computing. The speaker also emphasized on working of Alexa cloud service and best practices in voice design. Moving forward, Sandeep Rawat, Co-Founder and CTO of OpsTree Solution, explained a step by step approach to containerize a legacy application through a case study. The next session by Nitin Bhadauria was on “Building Your Own CI/CD” started with the introduction of Continuous Integration, Delivery, and Deployment and how these concepts work in practice by constructing your own CI/CD pipeline. Now, one of the most awaited sessions of the day by Abhishek Mahanty, Solutions Architect at Amazon Web Services presented a long heritage of Machine Learning at Amazon and various innovative AWS products like Amazon Go, Amazon Polly, Amazon Lex and what not. The track started with Samrat Kishor from Accenture, discussing on how different industries like BFSI, healthcare and others are availing the best of the blockchain. 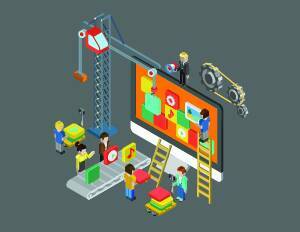 One of the most talked technology today, Google Assistant. Neha Sharma, founder JSLover presented an enthralling discussion on how one can start with the development of voice-based bot and how does Google’s technology help in doing so. The track started with a session on Enterprise messaging patterns by Bhuvan Gupta, co-founder of OfBusiness. Followed by the session on JVM Black Magic – Profiling and GC where Prakash Balodi discussed as applications grow, it becomes essential to know how one should go about profiling a Java application and also how to use the metrics obtained by profiling for fine tuning the application. The next session was on Mixed media for web and mobile developers by Hadar Bejerano, Solutions engineering technical lead at Cloudinary, he briefly explained about Image & video optimization and manipulation on the fly. Also, talked about the ways of handling user-generated content for both images & videos, how to create video from animated gif and vice versa. Pulkit Pushkarna covered another interesting session on Spring 5 and reactive Web where the audience was able to explore the pillars of reactive programming and for a better understanding of Reactive Programming for the audience, he walked them through some of the code samples using Reactor and Spring 5. Session five of this track was on Java 8,9,10 – What the future holds by Mala Gupta, founder of eJavaGuru.com. The session focused on the latest developments in the Java world like project Valhalla, Panama, Amber, and LoomComing; Mala Gupta talks about how these features in Java will make applications more secure and faster. Last but not the least, the last session of the track was on Why you don’t need Maths to get benefits of ML by Aseem Bansal who talked about why we don’t have to use maths for taking advantages of machine learning programming. 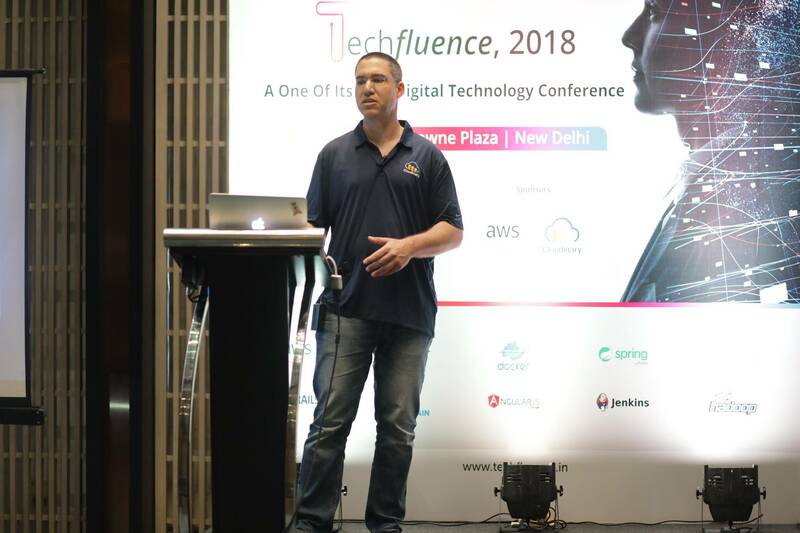 On the whole, TechFluence was a huge success where technology enthusiasts and industry leaders got to interact with each other and gain insightful knowledge on some of the leading technologies.